This is a quiz that contains NCLEX review questions about pernicious anemia. Patients who have pernicious anemia have low levels of red blood cells caused by low vitamin B12 levels. This is due to an autoimmune condition causing the patient to lack intrinsic factor. As the nurse, it is important to know how to care for a patient with pernicious anemia. In addition, the nurse needs to be aware of the causes, risk factors, and management of pernicious anemia. The NCLEX exam loves to ask questions about patient education and major signs and symptoms about pernicious anemia. 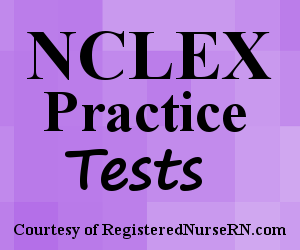 This quiz will test you on pernicious anemia in preparation for the NCLEX exam. A. "Pernicious anemia is caused by not consuming enough Vitamin B12." B. "Pernicious anemia causes the red blood cells to appear very large and oval." C. "Treatment for pernicious anemia includes a series of intramuscular injections of Vitamin B12." D. "A red, smooth tongue can be a sign of pernicious anemia." A. A 75 year old male who recently had surgery on the ileum. B. A 25 year old female who reports craving ice and clay. C. A 66 year old male whose peripheral blood smear showed hypochromic red blood cells. D. All the patients above are at risk for pernicious anemia. A. "I will require one injection every 6 months until my Vitamin B12 levels are therapeutic and then I'm done." B. "Initially, I will need weekly injections of Vitamin B12 and then monthly injections for maintenance, which will be a lifelong regime." C. "I will only need vitamin B12 injections for a month and then I can take a low dose of oral vitamin B12." D. "When I start to feel weak and short of breath I need to call the doctor so I can schedule an appointment for a Vitamin B12 injection." 1. You’re providing discharge teaching to a patient about pernicious anemia. Which statement by the patient indicates they did NOT understand the discharge teaching? 2. In pernicious anemia, intrinsic factor is not being secreted by the _______ cells which are found in the gastric mucosa. 4. A doctor suspects pernicious anemia in a patient presenting with a beefy red tongue. The patient reports feeling extremely fatigued and numbness and tingling in the hands. The doctor orders a peripheral blood smear. From your nursing knowledge, how will the red blood cells appear in the peripheral blood smear if pernicious anemia is present? 6. A patient with pernicious anemia is ordered to receive supplementary Vitamin B12. What is the best route to administer this medication for patients with this disorder? 7. True or False: Intrinsic factor is a protein that plays a role in how the body absorbs Vitamin B12. 8. A patient with severe pernicious anemia is being discharged home and requires routine injections of Vitamin B12. Which statement by the patient demonstrates they understood your instructions about their treatment regime?